3, 2, 1… BUNGYYYY! This is the fifth time that I’ve heard an AJ Hackett crew member shout the bungy countdown to me while standing on the edge of a platform. 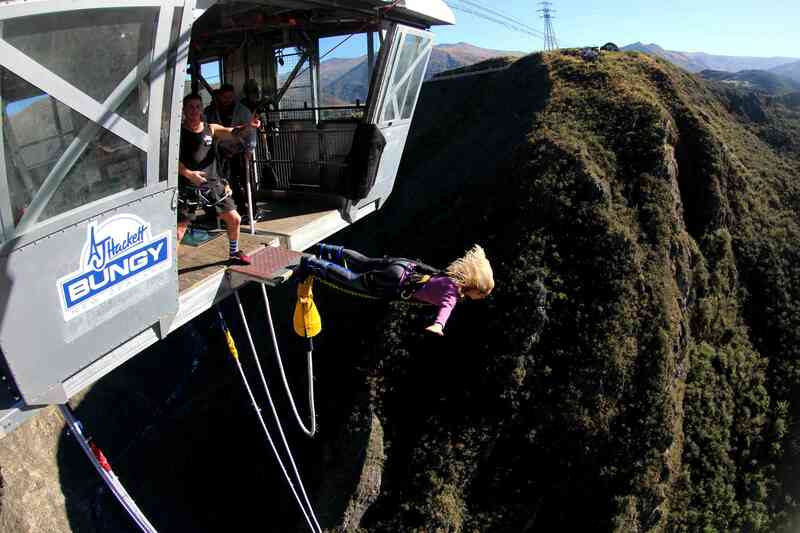 This time around, the highest bungy jump in New Zealand – the Nevis Bungy in Queenstown – was calling my name. And, this time, I was on a platform suspended 134m (440 ft) in the air that was only accessible via cable car. 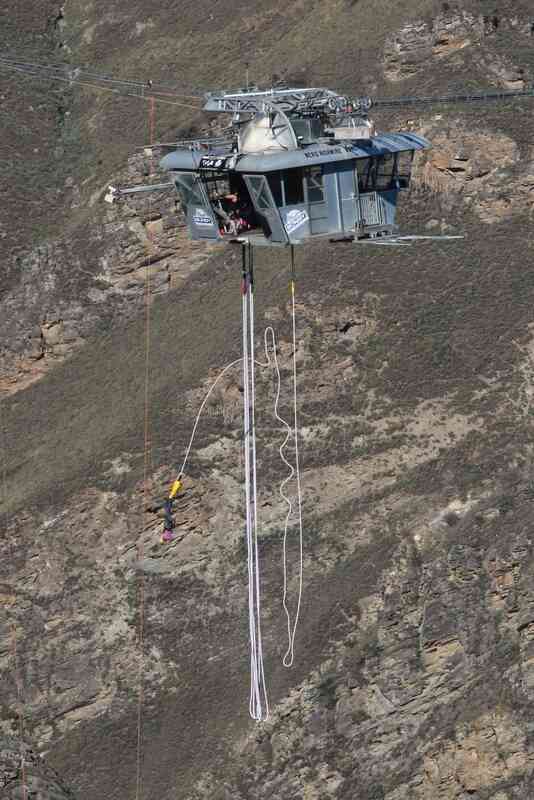 I first heard about the Nevis Bungy three years ago when I did the world’s first bungy jump – AJ Hackett’s Kawarau Bridge – and have wanted to give it a go ever since… and it surely didn’t disappoint! This is for those who want to take it to the next level, and then another 30 or so levels after that. This is the black run. The infamous. The ultimate. 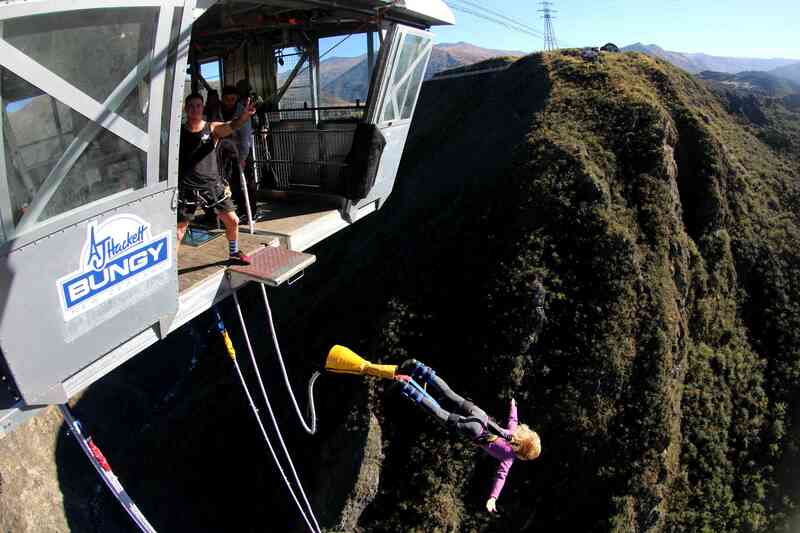 Complete with a 134m nail-biter of a Bungy, this is a rush you need to try. 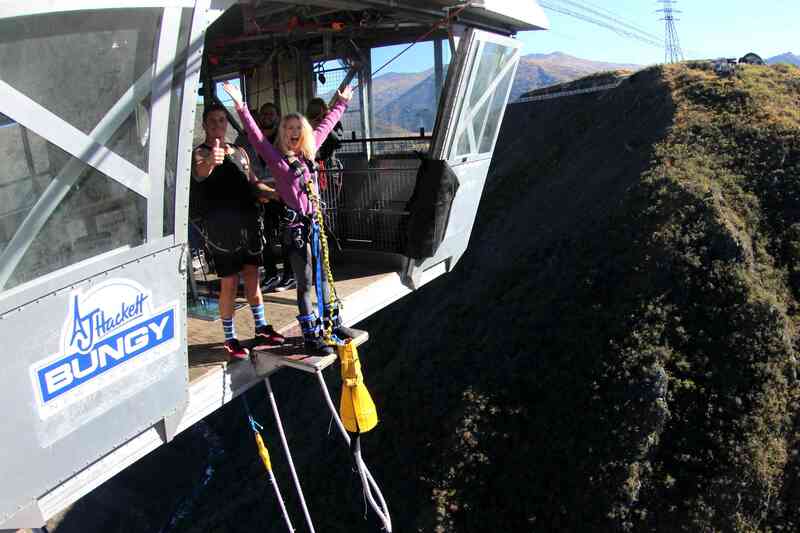 Both of AJ Hackett’s bungy sites in New Zealand – the Kawarau Bridge and the Nevis Bungy – are set in stunning locations, making the jump that much more scenic. 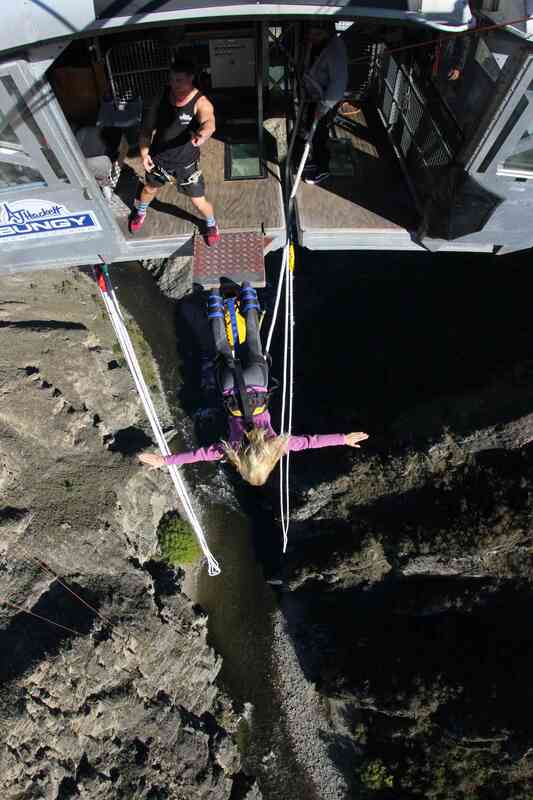 Whether jumping from a historic bridge or platform suspended in the air, AJ Hackett Bungy New Zealand certainly knows how to give you a thrill! 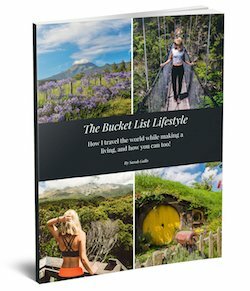 And, of course, if bungy isn’t your thing, Queenstown is still the Adventure Capital of the World and AJ Hackett offers giant swings, catapults, ziplines, climbs, skyjumps, and skywalks so that there’s something for everyone, whether you're an adrenaline junkie like me or tend to err on the side of caution! Their slogan is “Live More. Fear Less,” and it couldn't be more accurate! I also just have to say that AJ Hackett Bungy New Zealand has, hands down, the best photo and video package I’ve ever received from an adrenaline activity. They take all photos and videos from multiple angles and with incredible clarity so that your jump (or other on-site activity) is fully captured for you to relive over and over. 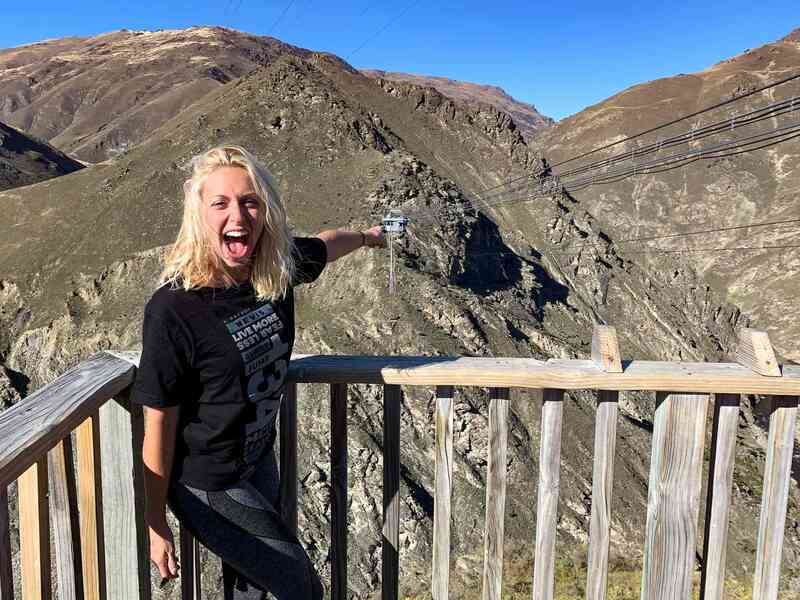 And now, have a look at what it’s like to jump 134m from the Nevis Bungy in the video below! 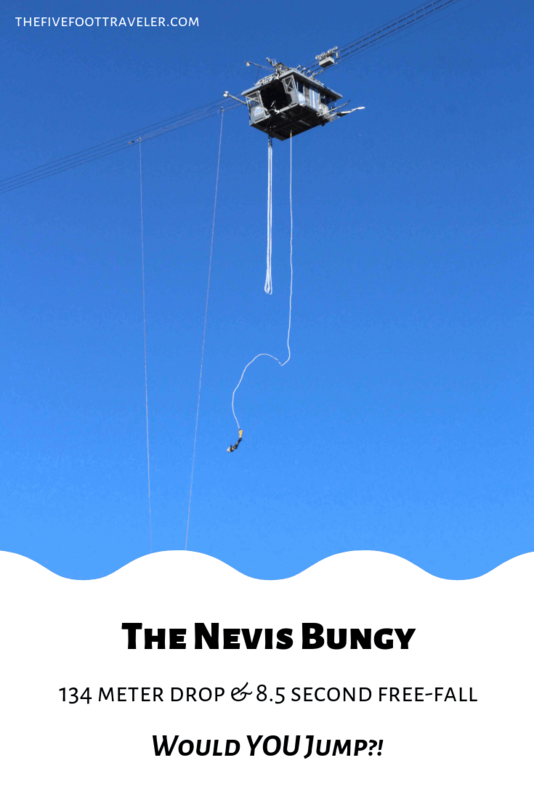 Ready To Jump Off The Nevis Bungy? Pin It Please! 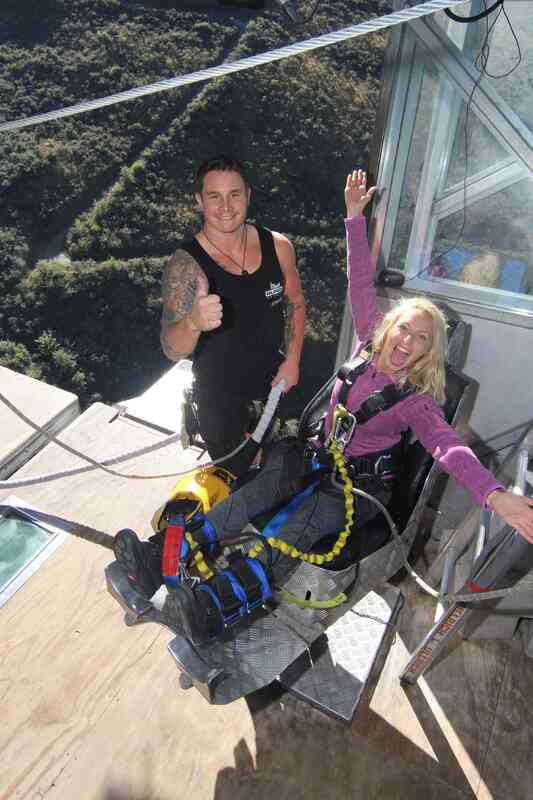 *Big thanks to AJ Hackett Bungy New Zealand for providing these epic photos and videos!